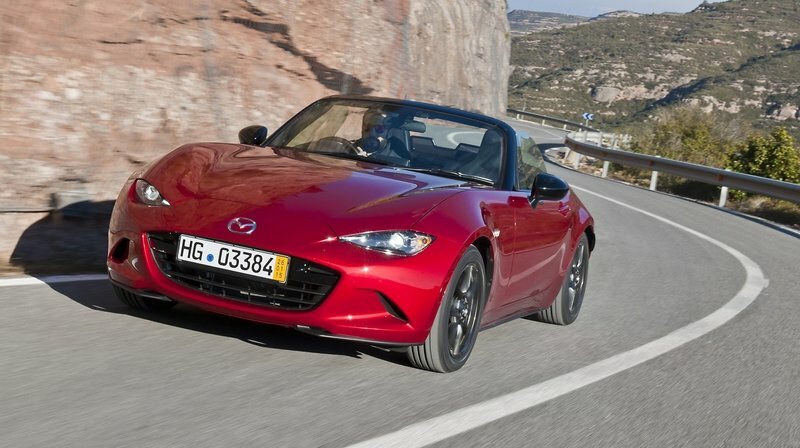 Mazda has no plans to offer a beefier iteration of its 2016 Mazda MX-5 roadster, which means lovers of front-engined, RWD Japanese drop-tops will have to make due with the current model’s 155-horsepower 2.0-liter four-cylinder drivetrain. That’s the news coming from Mazda’s Nobuhiro Yamamoto, the lead program manager for the new MX-5 and the brain behind the rotary-powered 1991 Mazda 787B prototype that took victory at the 24 Hours of Le Mans in 1991. Yamamoto spoke with TopGear.com at the Goodwood Festival of Speed recently, saying that for the MX-5, the focus remains on driving feel and the experience behind the wheel, rather than posting the biggest output figures. “In my mind it just has to be fun to drive,” he said. When asked about the possibility of forced induction, Yamamoto rejected the idea, saying that a naturally aspirated engine was ideal for a car like the MX-5, reiterating that more power was less important than pure driving sensation. Yamamoto’s comments say a lot about Mazda and the MX-5, so let’s break this down point-by-point. First, the MX-5 and power. It’s not at all surprising that Mazda has no plans to endow the nippy little roadster with extra power, because as Yamamoto pointed out, the car has always been about offering the most balanced, fun-to-drive experience possible. And while some folks surely get their jollies with wide-open throttle straight-line blasts, “fun” here means carving corners, clipping apexes, and feeling the lateral acceleration. You don’t need power for that, and in fact, it could be argued that more power gets in the way of fun in the turns. 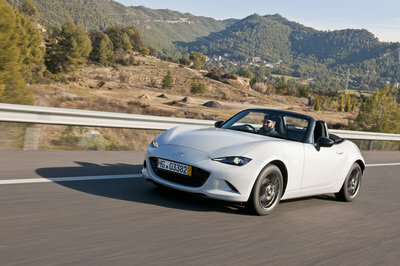 It’s not at all surprising that Mazda has no plans to endow the nippy little roadster with extra power, because as Yamamoto pointed out, the car has always been about offering the most balanced, fun-to-drive experience possible. Hear me out. More power means you need to be more cautious with inputs when you track out. It means you need to spend more time concentrating on getting the car straight again before really digging into the throttle. What makes 155 horsepower so good in a 2,300-pound vehicle is that you can easily balance the car with your right foot, while something like 300 horsepower takes far more Stig-like finesse. And if you’ve ever executed a perfect corner, with maximum traction from the rear end as you progressively add throttle, then you know what I’m talking about. Basically, it feels really, really good. That’s why you see so many MX-5s at track days. 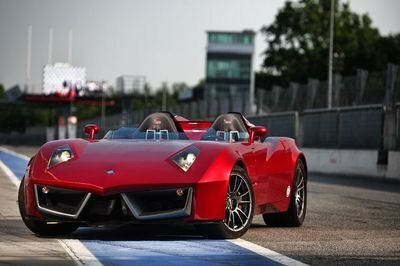 The chassis is perfectly balanced with the engine, and the whole package urges you to brake deeper, get on the throttle earlier, and go faster. More power would upset this pairing, not to mention add weight and expense. And that would sort of spoil it, don’t you think? Like Yamamoto, Preuninger doesn’t really care for adding more power just for power’s sake. Rather, he’d prefer to cut out weight, saying it’s not his target to add output with every successive generation. Less weight does indeed boost acceleration, but it also helps cornering, braking and overall efficiency. It’s more of an engineering challenge than throwing on gobs of horsepower, but in the end, it makes for a better track car. “This is not a dragster,” Preuninger said in regards to Porsche’s GT family. And like Yamamoto, Preuninger also prefers naturally aspirated powerplants, presumably for their response and fat torque curves. So then, where’s that leave us? On the one hand, we have Porsche and Mazda calling for an end to the horsepower wars with a focus on driving feel, while on the other, we have cars like those in the American muscle-car renaissance (Hellcat, and Corvette, etc.) 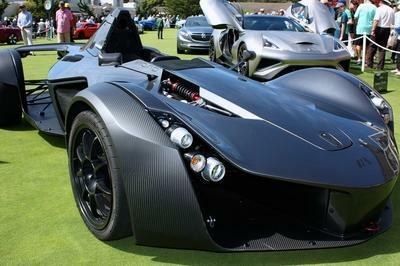 and the crème-de-la-crème hypercars (P1, 918, LaFerrari, One:1) taking internal combustion to new and wilder heights. Originally offered back in 1989, the MX-5 is the best-selling two-seat convertible sports car in history. 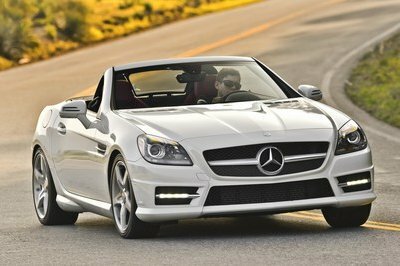 The current, fourth generation debuted last year bearing a new exterior design, an aluminum chassis for reduced curb weight, and all the features that made its predecessors legendary driver’s cars. 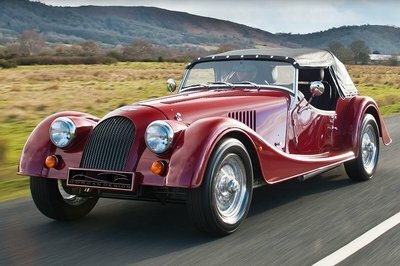 A run to 60 takes a little under six seconds, while top speed is around 130 mph. Pricing starts under $25,000.